As children come forward with their parents to prepare for First Eucharist (Communion) we have a golden opportunity to coach the parents to become the first teachers of their own kids. Parents WANT to do this. All the research shows they are willing. But they do not know how. GROWING UP CATHOLIC to the rescue! Here are resources designed to build that bridge between parent and child. 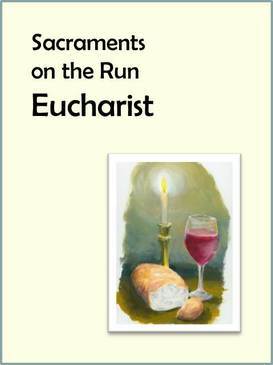 This eResource product includes six sessions of immediate preparation for First Eucharist, as well as a parent retreat and parent-child final retreat/rehearsal. It is designed to coach parents alongside their children, utilizes effective handouts, explicitly brings the faith home, and helps children and parents enter into deeper relationship with Christ. 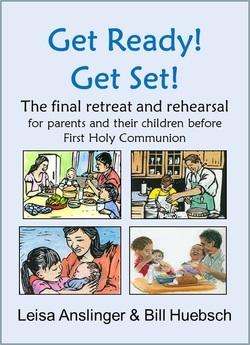 This is a flexible-schedule retreat and plan for the final rehearsal for parents and their children as they prepare to receive Holy Communion for the first time. Parents and children live together most of the time. They encounter one another daily. Even if the family is split between more than one home, they’re in touch with each other frequently. But in this final retreat and rehearsal for First Holy Communion, we want to give them a unique experience of being together, one in which we coach the parents to talk with their child about faith. This final lesson before Holy Communion will be formation that lasts a lifetime, for both the parents and their kids. Step-by-step instructions for the whole retreat, no guessing or need to make it up as you go along! What moment of childhood is more appropriate than this one for bringing parents and their children together in faith? The Gift of Holy Communion enables parents to help their children understand, celebrate and remember the spiritual significance of their First Communion. This book will become a keepsake in the home. We’d like to put this marvelous book in the hands of every parent with a child making his or her First Communion in the Church today. This is the perfect book to prepare children for their First Holy Communion or as a gift in celebration. Children can carry the book to Sunday Mass and use it over and over at home to learn about the Mass and learn by heart the prayers and acclamations of the Mass. This book is an invitation to learn and to love the words that we all say and sing at Mass. 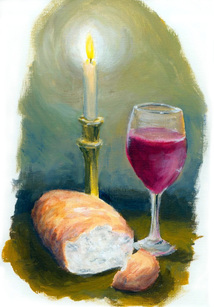 It is an invitation to receive Holy Communion, the first and every time, as the sacred banquet of those who have listened to God’s Word, prayed together, and given God thanks over the gifts of bread and wine. In a separate section, My First Holy Communion: Sunday Mass and Daily Prayers, Revised Edition contains the daily and Sunday prayers that a child can learn by heart with help from a parent or another adult. This book is ideal for holiday gift-giving and is the uniquely wonderful First Communion gift you have always wanted to give to the special children in your life.